He may be a newly-minted PhD, but a recently-named program director at Eastern Mennonite University is no newcomer to distinguished scholarship. 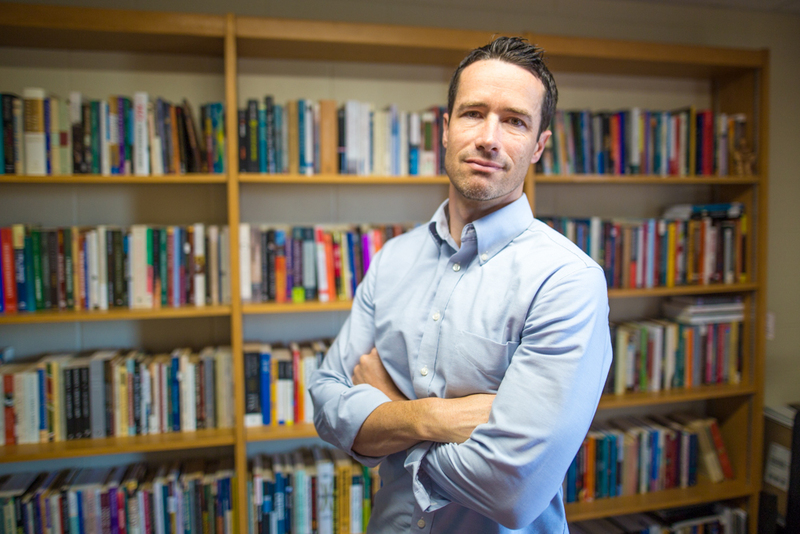 This fall Professor Timothy Seidel received the 2017 Dissertation Award at the annual Peace and Justice Studies Association (PJSA) conference in Birmingham, Alabama. Previous accomplishments include winning the Edward Said Award in 2016, and the publication of several peer-reviewed articles and book chapters. 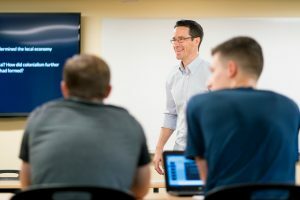 Professor Timothy Seidel, director of Eastern Mennonite University’s Center for Interfaith Engagement, teaches courses in the applied social sciences department and with the Center for Justice and Peacebuilding. The recent award came as Seidel assumed the directorship of EMU’s Center for Interfaith Engagement. The center promotes collaboration among scholars and practitioners to build a more just and peaceful world through interreligious and intercultural understanding. Seidel’s dissertation, completed at the culmination of his international relations doctoral studies at American University, was titled “‘Where Is the Palestinian Gandhi?’: Power and Resistance in Late Modernity.” In it, he explores how certain forms of nonviolent resistance in Palestine are recognized while other forms are overlooked, and argues that giving greater attention to marginalized communities as they narrate nonviolence helps to identify overlooked and everyday practices. In addition to his PhD, Seidel holds a Masters in Theological Studies from Wesley Theological Seminary. Before coming to EMU, he worked in various development and peacebuilding contexts in North America and the Middle East, including serving for several years with Mennonite Central Committee. That award is an annual recognition of “emerging scholarship in the politics of global development” by Third World Quarterly and the Global Development Studies Section of the International Studies Association. Seidel, who will also continue as assistant professor of community and international development in EMU’s Department of Applied Social Sciences and the Center for Justice and Peacebuilding, fills the position held by interim director Trina Trotter Nussbaum, who will continue as associate director.